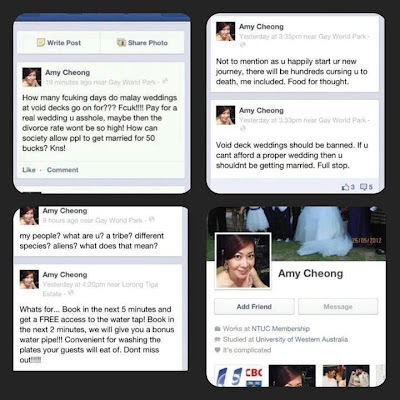 I woke up this morning and suddenly, everyone online is talking about Amy Cheong. At first, I thought it was the actress Amy Cheng because there is a resemblance. But it's Amy Cheong with an "o" as in "Oh no! I'm fired for posting racist comments on Facebook." And it all happened like within 24 hours. The now former assistant director of NTUC's Membership Partnership & Alliance posted the comments only yesterday. The cyber lynch mob amassed literally overnight. Someone has even made a police report. Ms Cheong apologised for her comments online, but the villagers with the pitchforks and torches wouldn't be so easily placated. They want blood. Still not satisfied, some are demanding a "public apology" and her first-born. I'm kidding about the last part - I hope. With the online bloodlust, it seems not everyone will be happy until she is literally and physically lynched. Strange fruit. I can't help feeling once again that "netizens" are overreacting just a tiny bit. Maybe they're just bored. Cecilia Sue isn't testifying any more. 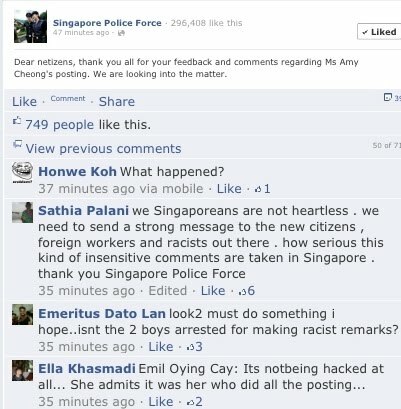 Yes, Ms Cheong's comments were wrong and her being an assistant director of a government organisation makes her comments even more deplorable, but the online piling on is tantamount to cyber-bullying, the justification being: "She's racist. She deserves it." 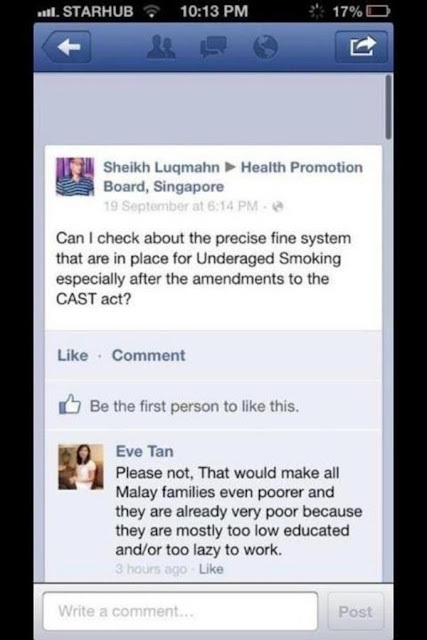 Netizens will soon move on to their next target and Ms Cheong will be left to pick up the pieces of her life. Speaking of the next target ...board up your windows, Eve Tan, I think the villagers are coming for you. 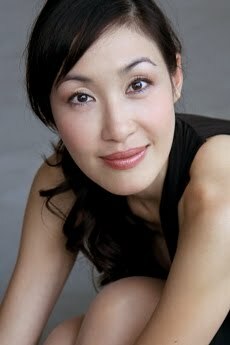 To end on a lighter note, here is Amy Cheng the actress in a PCK episode I wrote and produced about revenge. UPDATE: Ms Cheong has fled Singapore to Australia, where she is a citizen. UPDATE UPDATE: Local film banned: Amy Cheong's fault? Tags: Amy Cheong, geek, PCK, racist?